The first trophies of the 2017 ITTF Challenge Belgosstrakh Belarus Open have been awarded at the Palace of Tennis venue on Saturday 18th March, with Cristian Pletea and Saki Shibata reaching the top step of the podium in the Under 21 Men's and Under 21 Women's Singles competitions. Romania’s Cristian Pletea entered the Under 21 Men’s Singles draw seeded fourth for the event, and the odds were stacked against him in the final as he faced the no.1 seed Yuto Kizukuri for the title. Japan’s Yuto Kizukuri went into the final off the back of a tight victory against third seed Tomas Polansky in the previous round, and in an attempt to steal the early momentum in the final the top seed successfully gained the opening lead taking game one in deuce. However, Kizukuri wasn’t able to capitalise on his advantage and not only did Pletea manage to bring the tie level but also picked up victories in games three and four to seal the match by a 3-1 scoreline (11-13, 12-10, 11-6, 11-7). “I was a bit upset when taking to the table, because I had suffered the loss in Men’s Singles 40 minutes ago. But I knew that it was crucial to ignore emotions and stand tall. Today I played my 200%. That’s my first victory in an Under 21 international tournament, I’m very happy”, Cristian Pletea. 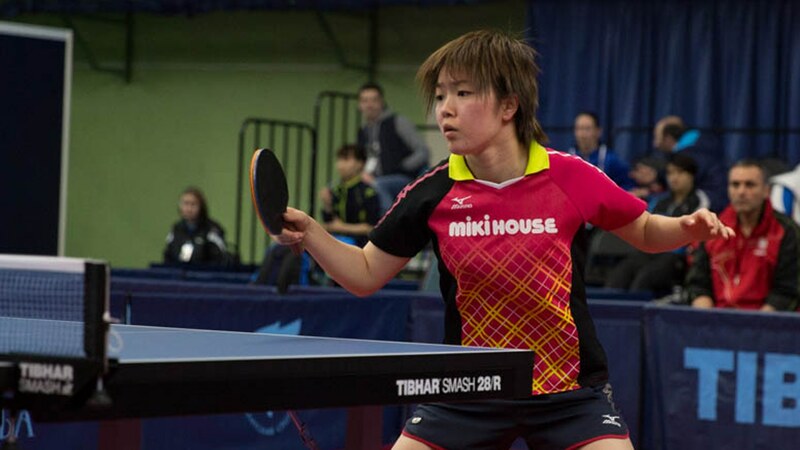 Last year at the Belarus Open Saki Shibata impressed in the Women’s Singles tournament where she went on to claim the title in a dramatic final, but the Japanese player was unable to lift the Under 21 Women’s Singles trophy in 2016 and was restricted to a second place finish. Fast forward a year to the 2017 Belarus Open and Saki Shibata has put that record right, after she won the Under 21 final in straight games. The opponent in the final was the third seed Kyoka Kato, who eliminated the no.1 seed Maki Shiomi in the semi-finals but Kato struggled to fight her way into the final match as Shibata stormed to a 3-0 victory (11-9, 11-8, 11-6). “Today, I was sure in my victory. The final match was very nice indeed, I managed to apply everything my coach wanted in my play”, Saki Shibata.